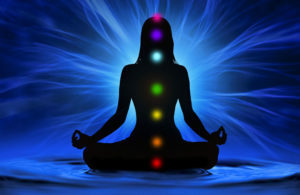 Some of my clients ask me to look at their chakras or do a chakra healing. It can be highly useful as things often show up in a chakra review and healing that don’t show up other ways. For example, I assumed an issue a client had was due to her heart or fourth chakra blocking abundance but when I looked at her chakra system, it turned out to be her sacral or second chakra that was having problems. 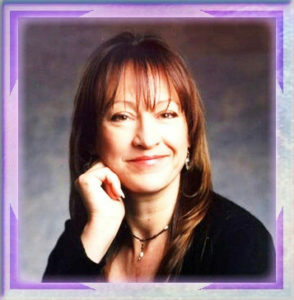 I was able to do some clearing and healing of the issues there and her entire countenance and energy changed. In another case, I did chakra reviewing and clearing for another client over time and noticed her throat or fifth chakra resolve a deep-seated life pattern over time. After a few years, that issue is now completely gone. All chakras are connected in sometimes unexpected ways that have little to do with what you read in books. A clairvoyant or any psychic who looks at chakras can see that they are more dynamic than books are usually able to convey. In many cases, I see that if one chakra is imbalanced, it will throw the balance of all the other chakras off. It follows that if one chakra is balanced, it helps the energy flow of all the other chakras. Chakras have typical ages when they mature. For example, the second chakra appears to be around 7 years old in most people. You may be surprised to know that chakras give you more energy than food does! You need food and water to survive, but you also cannot live as a functioning human being without your energy body dynamically interweaving your consciousness with your body. What are chakras? I see them as big cones, much bigger than you might image, that have the tip of their cones connected to the body. The crown chakra opens straight to the sky and the base chakra points down to the earth while the others along the spine open to the front and back and run horizontally. I use the 7 main chakras that are mentioned on most chakra books which govern different areas of your life experience in spiritual, emotional and physical ways. If people want to know what job is right for them, a chakra healing may not be indicated, but if people have deeper life questions or need energy healing for a physical issue, a chakra healing can be very helpful. Feel free to ask me about getting a chakra review/healing when you contact me. Also, keep an eye out for my upcoming book on how I do what I do! Your ability to be telepathic is centered in your 5th chakra which is in your throat area. Odd, since we “hear” telepathic messages in what seems to be our heads or our ears. If you are not sure you have had telepathic experiences, think back to loved family members who you just knew were going through a troubled time, or you knew they were home even though they were supposed to be at work. That could be a combination of both telepathy and clairsentience (empathy, located in your 2nd chakra or pelvic area, of all places!). You could also be using your clairaudience, or your ear chakras. 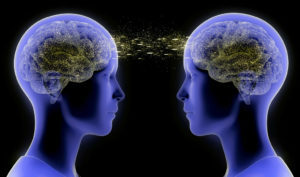 Have you heard people say things to you either while you were awake or while in a dream via telepathy/clairaudience? If you are interested in developing this ability, know that you already have it! You simply need to become more aware of it. Our chakras look like big radars, much bigger than you would think. They appear like cones radiating out of various chakras. 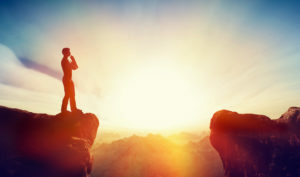 To become more aware, you could start meditating, or simply by cultivating a calm state while observing, not looking for anything in particular. People who know about the nervous system call this a “parasympathetic” state, which is calm, receptive, right-brained, not thinking, just “being”. When we are thinking, focused and active, we are using the “sympathetic” nervous system or the “left brain”. You are not likely to pick up much in the way of psychic sensing when you are in this state. Meditation is a good practice to cultivate to be more aware of your psychic or spiritual abilities since it uses the parasympathetic nervous system. It takes just a few minutes out of each day to relax in an unfocused but aware manner, listening to your breathing, being aware of the small noises in your environment that you would normally not notice, and ask mentally to be aware of your body and mood. Once you are in this calm and aware state, you can “ask” to be aware of your telepathic and auditory chakras and ask that you be able to “hear” through them. You can listen to the non-physical sounds in a busy restaurant by asking to be receptive and aware. You may notice that some areas seem to be closed off to your psychic senses while other areas are open. I have noticed that I can see people’s auras and hear more clairaudient things when I am at a psychic fair or some other place where people give implicit permission for others to see them this way while people are more protective at grocery stores and places where they are not comfortable being seen in a psychic or spiritual way. You can also hear tones. Everything vibrates at a frequency, and frequencies have sounds. Crystals and inanimate objects also have tones. People have tones, as well, though they are multilayered “overtones”. You can play with being aware of these things with someone who gives you permission to hear their tones, or try listening to the tone of a crystal, mineral or rock. Words that suggest the parasympathetic nervous system: allowing, receive, breathe out, let go, being, calm, relax, unfocused, inaction, soft, quiet. Words that suggest the sympathetic nervous system: thinking, focused, search, aroused, agitated, create, bright, noisy, do, action. Enjoy being aware of your spiritual senses! I wanted you to know that I now have high quality video sessions. It is helpful to many people to feel they are seeing me and having a virtual visit. I also have an office for in-person, 1 hour sessions by appointment only, on Saturdays. The address is 100 W. El Camino Real, #74B, Mtn. View.